Propworx, the company which auctioned off many props and pieces of the sets of Battlestar Galactica on eBay and during live auctions (where Luciana was present), started several new rounds of eBay auctions in the recent weeks. Surprisingly, this week’s batch includes two items related to Kat! The first one is a backup version of the memorial wall photo, which was not used on the show, plus radiation badges (which were not used by Luciana though) from “The Passage”. The second auction is more interesting. 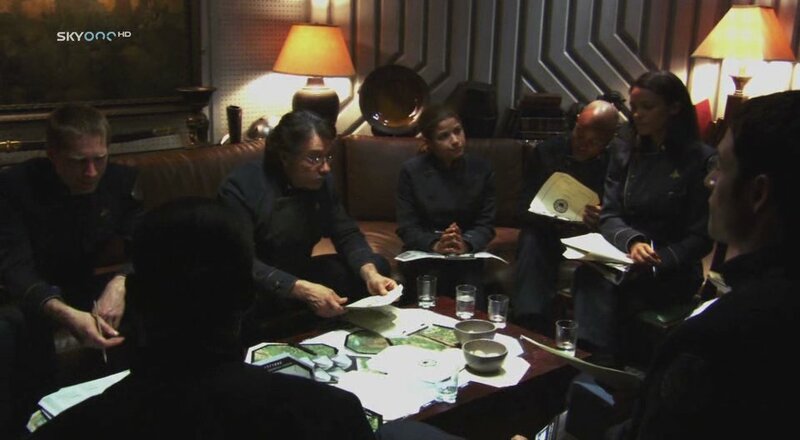 It’s a set of documents containing recon information about New Caprica, and according to the auction description these were used by Kat during the planning session in Adama’s quarters in the episode “Precipice”. Luciana as Kat in "Precipice"
If you are interested in those items, hurry, you have four days left to place your bids. 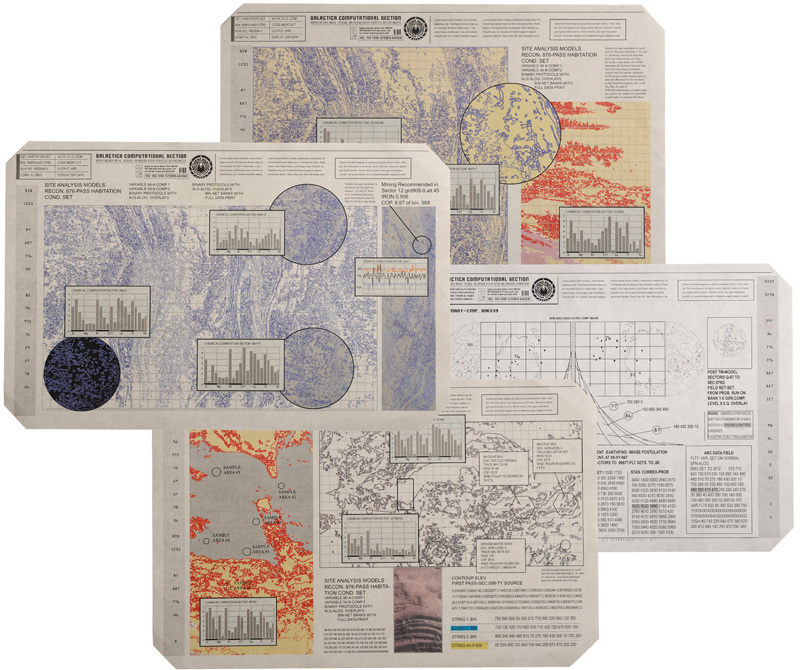 Related link: More entries about the Propworx auctions on this blog. This entry was posted in Other and tagged auction, Battlestar Galactica, eBay, Kat, Louanne Katraine, Prop auction, Propworx. Bookmark the permalink.